One year after LINE-themed Christmas, [email protected] is bringing the wintery joy to a whole new level with their latest installations. 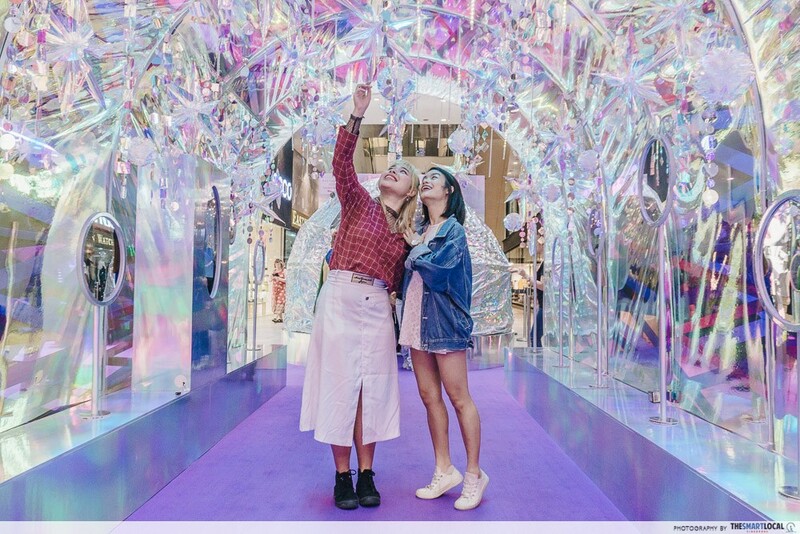 Themed All Set To Shine, this year’s event will feature iridescent set-ups that change colours at every viewing angle, an 9-metre tall Christmas tree and ways to redeem Lendlease vouchers just by shopping! Here’s what you can expect at this event. As a member of the ‘gram generation, I’ve slowly come to realise that festive celebrations are the perfect battleground to stock up on my IG ammo. And Christmas is no different. If you’re gunning to take breathtaking shots against a mesmerising backdrop, make a date to head to [email protected]’s Level 1 atrium from now till 9th December 2018. 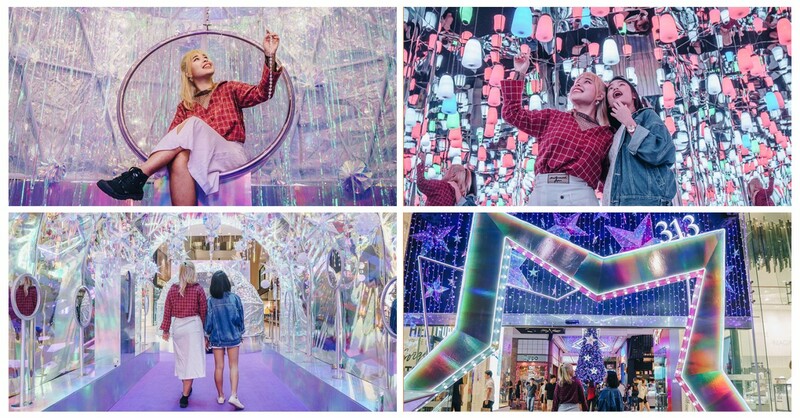 The entire area is transformed into a wonderland of 3 installations with interactive elements, perfect for photo-opportunities. 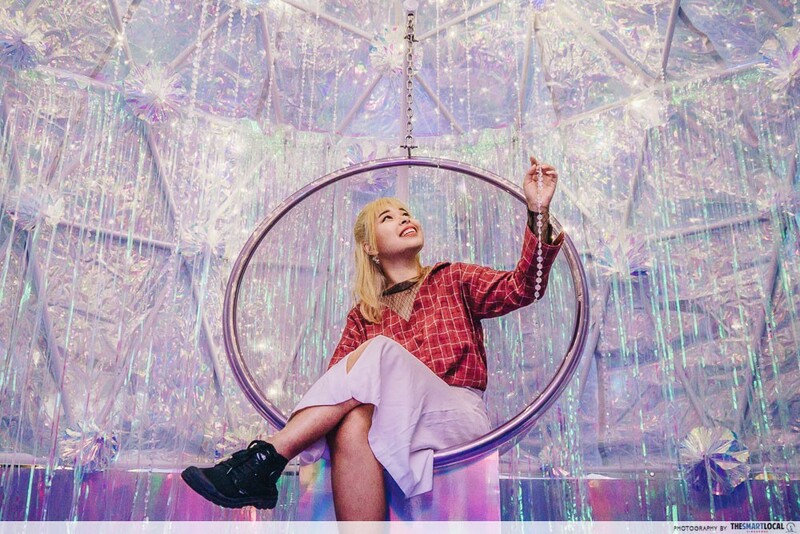 Walk through the Iridescent Tunnel and stars will be all over you. This spruced-up walkway features celestial decorations and a trio of gingerbread men who will pop out from the mirror and groove to the holiday tunes.